There’s nothing harmful in wanting to improve your smile’s natural appearance. Whether you have one problematic tooth or several that are worn and discoloured – a custom cosmetic treatment plan can improve your new smile and the way others see you. Our Carine dentists provide three types of cosmetic treatments. 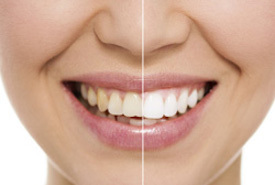 Veneers allow us to alter the shape, size, and colour of what your teeth look like. There are two types that we use. The first are those that we build directly over your teeth from composite resin material. The second are made of porcelain in a dental laboratory, by a specially trained ceramist. Depending on the type you choose, the procedure takes one to two visits to complete. A crown help strengthen and preserve a decayed or otherwise weakened tooth. We custom create your crown to feel comfortable and natural, and to blend with your other teeth. Our crowns are made from porcelain in a dental laboratory by a certified ceramist. With good oral hygiene and routine examinations and cleanings, your crown should last a lifetime! Lighten the shade of your smile in the comfort of your own home with our convenient take home whitening kit. The process takes about two weeks to achieve optimal results. To get started, all you need is a dental exam with one of our Carine Glades Dental Care dentists to determine whether your smile is healthy enough for whitening. If it is, we will take an impression of your teeth and discuss the home whitening protocol for the best outcome possible. Want a better-looking smile? 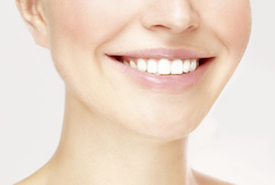 Veneers and whitening are an efficient and straightforward answer. Give Carine Glades Dental Care a call on (08) 9448 3922 or book an appointment online to find out which one is best for you.